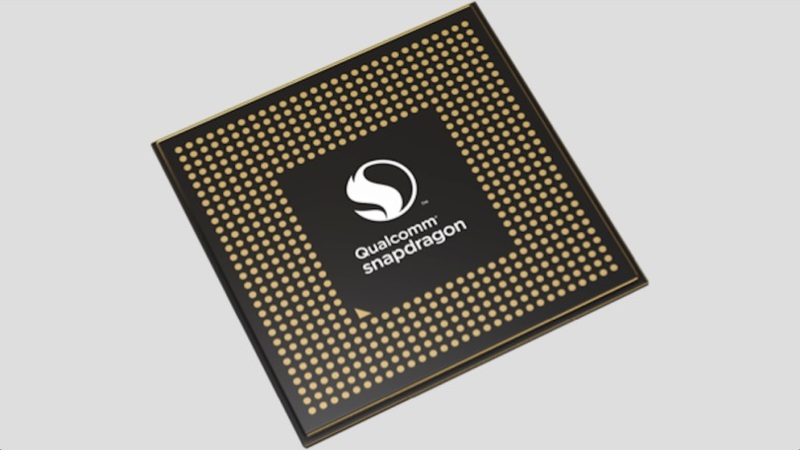 Qualcomm unveiled its latest top-tier chipset, the Snapdragon 845 during the first day of its Tech Summit without further ado, but dedicated the second day to providing in-depth information about the platform. Qualcomm’s official post on the Snapdragon 845 is brimming with technical details, but we’ll try to extract the essentials for you. For starters, the new chipset is 30% more power efficient than the previous Snapdragon 835 chipset. It also includes an improved Adreno 630 GPU, which boasts 30% improved graphics, video rendering, and power reduction. 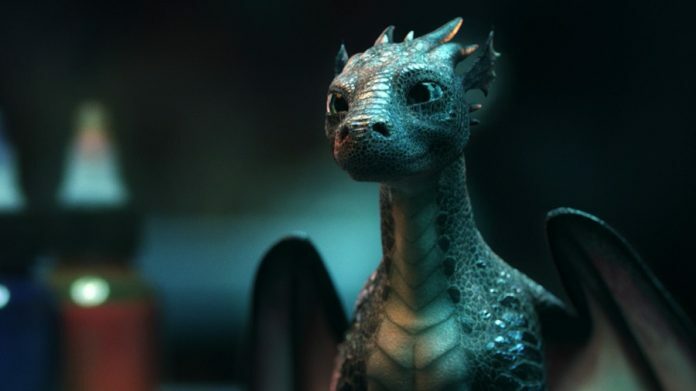 Qualcomm’s new Snapdragon 845 SoC relies on a Kyro 385 CPU – which features four performance cores running up to 2.8GHz. This represents a 25% increase compared to the previous generation. There are also four efficiency cores clocked at 1.8GHz on board the chipset which is based on 10nm FinFET process technology. 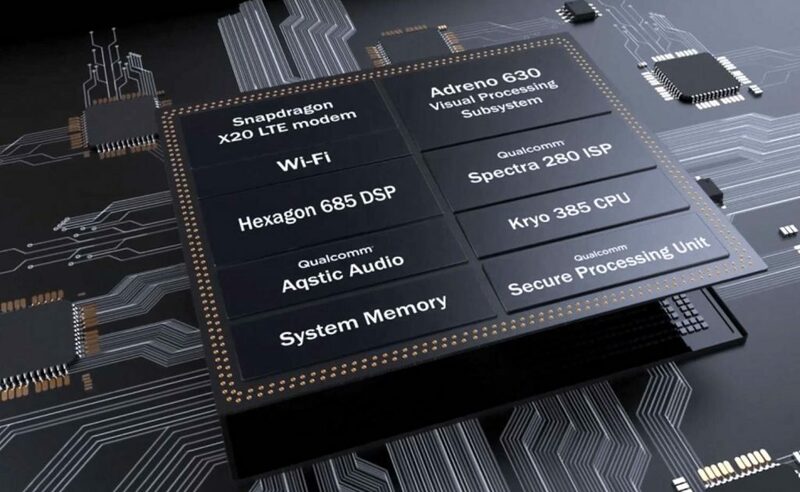 The new SoC also includes a Hexagon 685 DSP (digital signal processor), Spectra 280 ISP (image signal processor), AQusting Audio and the company’s fastest modem to date, the X20 Gigabit LTE radio – which supports 20% faster peak and real-world speeds over last year’s X16. 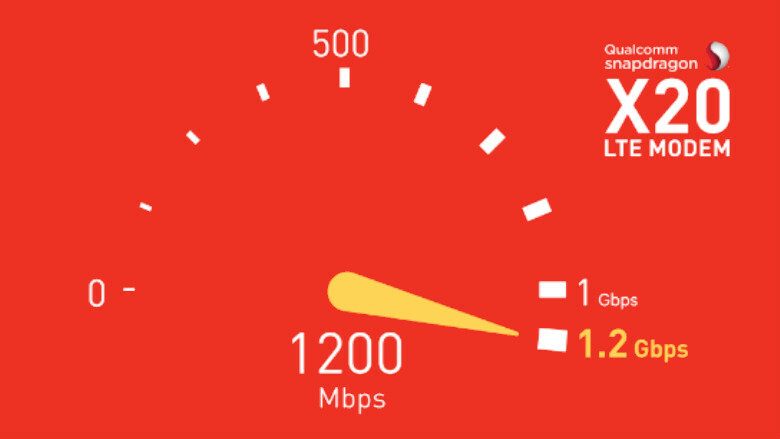 The new modem will be able to unlock speeds of up to 1.2Gbps (LTE Cat 18) once carries like Verizon, AT&T or Sprint will start deploying their Gigabit LTE-compatible networks. It also supports dual-SIM VoLTE. Another big feature it’s the chipset’s ability to capture 4K video in HDR at up to 60fps. It can also shoot slow-motion 720p video at 480 fps and 240 fps 1080p video. And for photography, the embedded Spectra 280 IPS can work towards multi-frame noise reduction on 16-megapixel images at 60fps. Qualcomm has embedded a brand new AQustic audio codec with the new premium SoC, which is said to be able to deliver improved wake-word recognition and also improved playback and record features. The tech industry is putting a big focus on AI these days, and Qualcomm is no different. So the chip giant announced improvements for AI processing with the Snapdragon 845. The new high-end chipset supports a variety of AI frameworks including Google’s TensorFlow, Facebook’s Caffe 2, as well as the newer Open Neural Network Exchange (ONNX). The new AI features will also have an impact on photography like video style transfer or achieving artificial bokeh effect with single cameras. Digital assistants will become smarter too under the Snapdragon 845, meaning they will faster to respond and more accurate. Qualcomm did not skip over the security aspect either, so the Snapdragon 845 now supports all kinds of biometric authentication methods like fingerprint, voice, face and iris scanning. When can we expect to see the first Snapdragon 845-equipped smartphones arrive? Qualcomm says as soon as early 2018. 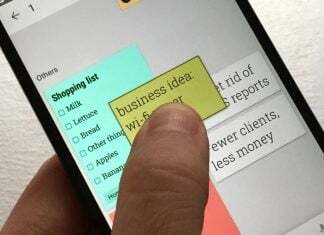 Samsung, Xiaomi, LG, HTC, and Sony have been listed among the first OEMs to launch devices taking advantage of the new platform.